The main objective of this report is to analysis Investment Operation of Islami Bank Bangladesh Limited. General objectives of this reports are to gather practical knowledge and experiencing the corporate working environment with the close approximation to the business firm and the experts who are leading and making strategic decisions to enhance the growth of a financial institution and to present an overview and brief introduction of Islami Bank Bangladesh Ltd. Finally this report make swot analysis Investment Operation of Islami Bank Bangladesh Limited. The purpose of this report cognates the internship purpose. The internship objective is to gather practical knowledge and experiencing the corporate working environment with the close approximation to the business firm and the experts who are leading and making strategic decisions to enhance the growth of a financial institution. To this regard this report is contemplating the knowledge and experience accumulated from internship program. With the set guidelines and proposal by the University and with the kind advices of the organization and the internship supervisor, this report comprise of an organization part and a project part. To present an overview and brief introduction of Islami Bank Bangladesh Ltd.
Give a brief overview of the Investment operation of IBBL. Establishment of Islamic Development Bank (IDB) by the OIC member states in the year 1975 has been proved to be a break through in the expansion of Islamic Shari’ah based finance and specially banking throughout the world. As a founder member of IDB, the Government of Bangladesh also had the commitment to establish Islamic banks, which was reflected in different steps taken by the governments of the country. The OIC members consented to the proposals to introduce Islamic economy and banking in their respective countries held in the foreign ministers’ conferences in 1978 and 1980 in Dakar and Islamabad respectively. In the year 1981, OIC in its 3rd summit held in Makkah approved the Proposition submitted by Bangladesh to introduce separate banking system following Islamic ideology. As per decision, the GOB sent representatives to the Middle Eastern countries to learn the existing banking systems in those countries. In the private sector, the Islamic Economics Research Bureau (IERB) was the first organization that took active initiative in this regard. They arranged a national seminar on Islamic Economics and banking in the year 1979 and inspired by the discussion and the papers presented in the seminars, some local bankers formed ‘Islami Bank Working Group’. The IERB again arranged an international seminar in 1980. After the seminar, Dhaka based ‘Muslim Businessman Society’ (later renamed as ‘Industrialist and Businessmen Association’) under the leadership of renowned industrialist Abdur Razzaque Lasker, took initiative to establish an Islamic bank and applied to the government for permission. At this stage, the GOB provided necessary permission in the year 1983 and at last ‘Islami Bank Bangladesh’ was registered under Company Act in which 19 Bangladeshi national, 4 Bangladeshi institutions and 11 banks, financial institutions and government bodies of the Middle East and Europe including IDB and two eminent personalities of the Kingdom of Saudi Arabia joined hands to make the dream a reality. Since its startup, IBBL is maintaining a steady growth in terms of profitability and geographical coverage. 80s may be termed as ‘Foundation Stage; during the 90s, the bank passed its ‘Early Growth Stage’ and during the first decade of the 21st century, its making ‘Rapid Growth’. The philosophy of IBBL is to the principles of Islamic Shariah. The Organization of Islamic Conference (OIC) defines an Islamic bank as “a financial institution whose status, rules and procedures expressly state its commitment to the principles of Islamic Shariah and to the banking of the receipt and payment of interest on any of its operations”. The sponsor, perception is that IBBL should be quite different from other privately owned and managed commercial bank operating in Bangladesh, IBBL to grow as a leader in the industry rather than a follower. The leadership will be in the area of service, constant effort being made to add new dimensions so that clients can get “Additional” in the matter of services commensurate with the needs and requirements of the country’ growing society and developing economy. 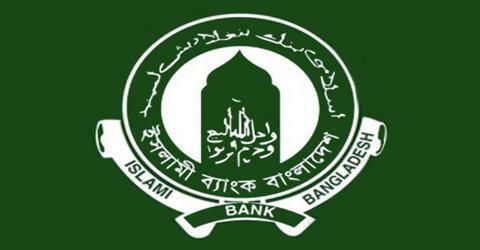 IBBL is the pioneer institution for introduction of Islamic Banking in Bangladesh. The success of IBBL has imbibed other sponsors at home and abroad to establish Islamic Banking in Bangladesh. Four national, one international Islamic banks have since been established in the country. A private sector traditional bank has also established two full-fledged Islamic Banking branches. Several other existing and proposed traditional banks hove also expressed their intention to introduce Islamic Banking. IBBL has successfully mobilized deposits from a section of people who hither-to-before did not make any deposit with interest-based banks. The Islamic Banking products, which are offered by IBBL through its 196 branches, located at important centers all over the country and spontaneous acceptance of those products by the people proves the superiority of Islamic banking. IBBL market share of deposit investment and ancillary business is steadily increasing. IBBL, though still a tiny bank, handles more than 10% of country’s export and import trade. Among the contemporary commercial Banks IBBL position is first in respect of mobilization of deposit, deployment of fund and earning profit. Investment in industrial sector occupies nearly 33% of IBBL investment portfolio. This is a unique example of industrial Finance by a commercial Bank. More than 1.15,000 workers are employed in the industrial projects financed by IBBL. IBBL has thus made significant contribution to solving unemployment problem of the country. Dhaka- the capital of Bangladesh being a Mega city- has acute transport problem. IBBL has joined hands with an enterprising group to introduce a fleet of Premium Bus service, which has attracted the attention of all section of the people and mitigated transportation problem of the city to some extent. IBBL has introduced several other welfare oriented Investment schemes, such as Small Transport Investment Scheme, Small Business Investment Scheme, Agriculture Implements Investment Scheme, Poultry Investment Scheme, Household Durable Investment Scheme, Housing Investment Scheme etc. IBBL launched a Rural Development Scheme for providing finance to drown-trodden section of the populace- an area where no other Commercial Bank has extended any finance. IBBL’s mission is to reach to all 68,000 villages of the country as early as possible. IBBL has organized a good number of national and international Seminars on Islamic Banking and Economics. Importantly, IBBL sponsored a Seminar at Dhaka with a view to forming an Islamic Common Market. Due to constant persuasion of IBBL the Government has granted license for establishment of an Islamic Insurance Company. By now two (2) Islamic Insurance Companies have started business? IBBL has earned reputation in the country as a corruption free institution. IBBL is held in high esteem in the banking circle as a good managed bank. Under the leadership of IBBL, Bangladesh Association of Banks (BAB) has been formed. This is a platform to ventilate the standpoints on banking issues of the private sector banks. An IBBL has taken initiative to form an Association of Islamic Banks in Bangladesh for furtherance of the causes of Islamic banking. Fuqaha: Persons representing this group must be well versed in the Quran, Sunnah and fully conversant with the opinion of all schools of Islami thought and Islami law and jurisprudence. They must view Islam as a total way of life and a living religion. Banker: There must be a member who is fully conversant with banking law and practices and has practical experiences in Banking business including foreign trade. Economist: A member from this group need not necessarily be an Islami economist to start with. But if he is an Islami Economist it is an added advantage. What is important is that he must be really proficient in modern economies with an in depth study of the community, which a bank is going to solve. He must have up to date knowledge in the development of the contemporary world. Lawyer: A member representing this group should be a successful practitioner lawyer. He must be proficient in commercial law including company law. In consultation with the Fuqaha and Economist members of the council, he should be able to draft such innovating contracts, which will have the sanction of Islami principles and a banking law of the land. One of the significant and revolutionary development in the banking area of the world during last four decades is the emergence and extra ordinary development of Islamic Banking in different countries of the world which has drown the attention of the scholars and general public of the Muslim and non-Muslim countries including the world bodies like International Monetary Fund, World Bank etc.The special feature of the investment policy of Islamic Banks is to invest on the basis of profit-loss sharing system in accordance with the tenets and principles of Islamic Shariah. Earning of the profit is not the only motives and objectives of the Islamic Bank’s investment policy rather emphasis is given in attaining social good and in creating employment opportunities. To diversify its investment portfolio by size of investment, by sectors (public & private), by economic purpose, by securities and by geographical area including industrial, commercial and agricultural. To finance various development schemes for poverty alleviation, income and employment generation with a view to accelerate sustainable socio-economic growth and upliftment of the society. To encourage social upliftment enterprises. To shun even highly profitable investment in fields forbidden under Islamic Shariah and are harmful for the society. All the Islamic Banks usually extend investments under the principles of Bai-Murabaha, Bai-Muazzal, Hire Purchase under Sheraton Meelk and Mudaraba. Sincere efforts must be made for investment under Musharaka principles. “Bai-Murabaha” means sale on agreed upon profit. Bai-Murabaha may be defined as a contract between a Buyer and a Seller under which the Seller sells certain specific goods permissible under Islamic Shariah and the Law of the land to the Buyer at a cost plus agreed profit payable in cash or on any fixed future date in lump sum or by installments. The profit marked-up may be fixed in lump sum or in percentage of the cost price of the goods. Thus it is a sale of goods on profit by which ownership of the goods is transferred by the Bank to the Client but the payment of the sale price (cost plus profit) by the Client is deferred for a fixed period. If the Bank does not purchase the goods or does not make any purchase agreement with seller, but only makes payment of any goods directly purchased and received by the Client from the seller under Bai-Muajjal/Bai-Murabaha Agreement, that will be a remittance of the amount on behalf of the Client, which shall be nothing but a loan to him and any profit on this amount shall be nothing but Interest (Riba). The client shall offer an order to purchase by the Bank particular goods and commit to buy the same from the Bank. It is permissible to make the promise binding upon the client to purchase the goods. It is permissible to document the debt resulting from Bai-Murabaha. Stock and availability of goods is a basic condition for signing a Bai-Murabaha agreement. The bank must bear the risk of goods after purchase until delivery to the client. The bank must deliver the specified goods to the client on specified date and at specified place. The purchase price of goods sold and profit mark-up shall separately and clearly be mentioned in the agreement. The price once fixed and deferred can not be further increased. Second Step: The client promises to buy the commodity from the bank on a Bai-Murabaha basis, for the stipulated price. The bank accepts the order and establishes the terms and conditions of the transaction. Third Step: The bank informs the client (ultimate buyer) of its approval of the agreement to purchase. The bank may pay for the goods immediately or in accordance with the agreement.The seller expresses its approval to the sale and sends the invoice(s). Fourth Step: The two parties (the bank and the client) sign the Bai-Murabaha Sale contract according to the agreement to purchase. Fifth Step: The Bank authorizes the client or its nominee to receive the commodity. The seller sends the commodity to the place of delivery agreed upon. The client undertakes the receipt of the commodity in its capacity as legal representative and notifies the bank of the execution of the proxy. “Bai-Muajjal” means sale for which payment is made at a future fixed date or within a fixed period. In short, it is a sale on Credit. The Bai-Muajjal may be defined as a contract between a buyer and a seller under which the seller sells certain specific goods, permissible under Shariah and law of the country, to the buyer at an agreed fixed price payable at a certain fixed future date in lump sum or in fixed installments. “Bai-Salam” means advance sale and purchase. Bai-Salam may be defined as a contract between a buyer and seller under which the seller sells in advance in the certain commodity (ies)/ products (s) permissible under Islamic Shariah and the law of the land to the buyer at a agreed price payable on execution of the said contract and the commodity (ies)/ product(s) to the buyer at a future time in exchange of an advanced price fully paid on the spot. Here the buyer makes an advance payment, but the delivery is delayed until sometime in the future. Usually the seller is an individual or business and the buyer is the bank. The Bai-Salam sales serve the interests of both parties. Bai-Salam is a mode of investment allowed by Islamic Shariah in which commodity(ies)/product(s) can be sold without having the said commodity/product either in existence or physical/constructive possession of the seller. If the commodities are ready for sale abai-Salam is not allowed in Shariah. Then the sale may be done either in Bai-Murabaha,or Bai-Muajjal mode of investment. Generally industrial and agricultural products are purchased/sold in advance under Bai-Salam mode of investment to influence finance so that product is not hindered due to shortage of fund/cash. It is permissible to obtain collateral security from the seller client to secure the investment from any hazards of non-supply/partial supply of commodity, supply of low quality commodity/product etc. It is also permissible to obtain mortgage and personal guarantee from a third party as security before the signing of the agreement or at the time of signing the agreement. Bai-Salam on a particular commodity/product or on a product of a particular field or farm cannot be affected. The seller (manufacturer) client may be made agent of the bank to sell the goods delivered to the bank by him provided a separate agency agreement is executed between the bank and the client(agent). The bank may receive the commodity and resell it to another party for cash or credit. The bank may authorize the seller to find another buyer for the commodity. The bank may direct the seller to deliver the commodity directly to a third party with whom the bank has entered into another agreement. Istisna’a means to purchase specific product(s) by placing order to a manufacturer or to sale specific product(s) after having the same manufactured against order of a buyer. The Istisna’a sale is a contract in which the price is paid in advance at the time of the contract and the object of sale is manufactured and delivered later. It is a contract with a manufacturer to make something and it is a contract on a commodity on liability with the provision of work. IBBL can utilize Istisna’a in two ways. Istisna’a is an exceptional mode of investment allowed by Islamic Shariah in which products can be sold without having the same in existence. If the product are ready for sale. Istisna’a is not allowed in Shariah. Then the sale may be done either in Bai-Murabaha or Bai-Muajjal mode of investment, in this mode deliveries of goods are deferred and payment of price may also be preferred. It gives the buyer opportunity to pay the price in some future dates or by installments. It is building contract and no party is allowed to cancel the Istisna’a contract after the price is paid and received in full or in part or the manufacturer starts the work. Istisna’a is specially practiced in manufacturing and industrial sectors. However it can be practiced in agricultural and constructions sectors also. Bai-Istisna’a Sale Contract: The Buyer expresses his desire to buy a commodity and brings a request to purchase the commodity to the bank. The method of payment, whether cash or deferred is set forth in the agreement. The bank agrees to deliver the commodity to the buyer at some agreed upon time in the future. The bank provides the capital as a capital owner: The Mudarib provides the effort and expertise for the investment of capital in exchange for a share in profit that is agreed upon by both parties. There are some legal rules that govern the business relationship Mudaraba which are as follows. Mudaraba agreement may include a clause to the effect that if in any partner violates any rules Mudaraba or any terms & conditions of Mudaraba agreement, the business or other partners will have the right to impose compensation on him as determined by the arbitration committee of the bank. The word “Musharaka” is derived from the Arabic word “Sharikah” meaning partnership. Thus the word “Musharaka” means a partnership established between two or more partners for purpose of a commercial venture participated both in the capital and management. Thus, it involves different types of profit and loss sharing partnership. The partners (entrepreneurs, bankers, etc.) share both capital and management of a project so that profits will be distributed among them as per ratios, where loss is shared according to ratios of their equity participation. In this case of investment, “Musharaka” meaning a partnership between the bank and the client for a particular business in which both the bank and the client provide capital at an agreed upon ratio and manage the business jointly. Share the rent as per agreed upon ratio and bear the loss, if any, in proportion to their respective equity. Banks can advice the client in such a business in respect of the business. The term Ijarah has been derived from the Arabic words “Air” and “Ujrat” which means consideration, return, wages or rent. This is really the exchange value or consideration, return, wages, rent of service of an asset. Ijarah has been defined as a contract between two parties, the Hire and Hirer where the Hirer(lessee) enjoys or reaps a specific service or benefit against a specified consideration or rent from the asset owned by the Hire(lessor). It is a hire agreement under which a certain asset is hired out by the Hire to a Hirer against fixed rent or rentals for a specified period. According to the majority of Fuqaha, there are three general and six detailed elements of Ijarah. Contracting parties: This includes a Hire, the owner of the property, and a Hirer, the party that benefits from the use of the property. The Hire (Muajjir): The individual or organization hires/rents out the property of service is called the Hire (muajjir). The Hirer (Mustajir): The individual or organization hires/takes the hire of the property or service against the consideration rent / wages / remuneration is called the Hirer (mustajir). The benefit / asset (Maajur): The benefit which is hired / rented out is called the benefit (maajur). The Rent (Aj’r or Ujrat): The consideration either in monetary terms or in kinds fixing quantity of goods / money to be paid against the benefit of the asset or service of the asset is called the rent or ujrat or aj’r. This is a sale contract between a buyer and a seller under which the ownership of certain goods or asset is transferred by seller to the buyer against agreed upon price paid / to be paid by the buyer. Thus Hire Purchase under Shirkatul Melk mode both the Bank and the Client supply equity in equal or unequal proportion for purchase of an asset like land, building, machinery, transports etc. Purchase the asset with that equity money, own the same jointly, share the benefit as per agreement and bear the loss in proportion to their respective equity. The share, part or portion of the asset owned by the Bank is hired out to the Client partner for a fixed rent per unit of time for a fixed period. Lastly the Bank sells and transfers the ownership of it’s share / part / portion to the Client against payment of price fixed for that part either gradually part by part or in lump sum within the hire period or after the expiry of the hire agreement. In a developing country like Bangladesh people of middle and lower class especially service holders with limited income find it difficult to purchase articles like refrigerator, television, cot, almirah, wardrobe, sofa-set, pressure cooker, sewing machine etc. which are part of modern and decent living. They cannot enhance the standard and quality of life to the desired level due to constrain of their limited income. Islami Bank Bangladesh Limited has, therefore, introduced Household Durables Investment Scheme that has already created great enthusiasm among the people and received tremendous response from them. One of the basic human needs is to have a house to live in. A house is an abode of peace and happiness. Housing has now become an acute problem in the country, especially in the towns, cities and metropolis. With their limited income, it has become almost impossible on the part of the lower middle class, middle class and sometimes, even for upper middle class to solve their housing problem. To meet this basic human need, Islami Bank Bangladesh Limited is committed to contribute to this end to provide a peaceful and happy living. The Bank has introduced “Housing Investment Scheme” with the objective to ease and minimize the housing problem and assist service holders and professionals with limited income in materializing their dream of becoming owner of housing. The role modern communication is most vital for the socio-economic growth and uplift of a developing country like Bangladesh. A sound and efficient communication network is the pre-requisite for sustained development through the expansion of trade, commerce and industry. In this backdrop the demand for road and water transport has increased manifold throughout the country. Moreover, the use of modern transports has increased keeping pace with the rise of standard of living of professionals. Considering all these facts, Islami Bank Bangladesh Limited has introduced ‘Transport Investment Scheme’ Under this scheme investment on easy terms is being extended to the existing successful businessmen in road and water transports and potential entrepreneurs in this sector for different types of road and water transport. Besides, Multinational companies, established business house and well to do officials and professionals can become owner of various kinds of transports through Hire Purchase under scheme. Islami Bank, being and welfare oriented banking institution, has now deigned and implemented a good number of investment schemes keeping in view the needs of different sectors and various sections of the people for their socio-economic development and to improve their quality of life. The investment schemes including the “Transport Investment scheme” and the “Household Durables Investment scheme” so far introduced have gained popularity and received wide response from the people. Car is considered as on essential mode of transport in the modern society, particularly by a section of the officials, business houses and business executives and established professionals for movement in discharging their duties and responsibilities punctually and efficiently. Many of these categories of people cannot purchase a car on payment of entire purchase value at a time out of their own sources. To meet this need Islami Bank has introduced the ‘Car Investment Scheme’ for the mid and high ranking officials of government and semi-government organizations, corporations, executive and directors of big business houses and companies and also for persons of different professional group on easy payment terms and conditions. One of the fundamental rights of every man is to receive necessary Medicare facilities. Majority of our people are denied and deprived of this right and a large number of our children are ill fed and suffer from malnutrition and ill health. Subsequently they become victims of various diseases due to lack of education and knowledge about health care and preventive measures. Medicare facilities as a whole are very limited in the country. Although medical facilities are available to some extent in the clients and towns, majority of the people of the rural area die without Medicare and treatment after prolong sufferings from disease. A good number or newly graduated doctors from Medical Colleges are unemployed. Many of the medical graduates are waiting for job because the opportunity for Government service is limited. If these young doctors could be self-employed by extending investment facilities, they could make modern medical facilities available at the doorsteps of rural people. Besides, experienced and specialist physicians who are providing Medicare facilities to the people in different towns with their limited and outdated Medical equipment will be able to improve the standard of their techniques of treatment and also make the modern treatment facilities available to more people, if investment facilities are extend to them for procurement of modern and improved medical equipment. The constitution of Bangladesh has made it obligatory to ensure good health for all and the government is also committed to ensure good health for all. In view of the above facts, Islami Bank Bangladesh Limited has taken the initiative an introduced the “Doctors Investment Scheme” to ensure modern treatment and medical facilities available to the people through extension of Bank’s investment facilities for self-employment of newly graduated doctors and the same time extending investment facilities to the established medical practitioners to procure modern and sophisticated medical equipment. Bangladesh, a third-world developing country, is rich in natural and human resources. In spite of vast possibilities, the majority people of the country live in hardship-below poverty line, as these resources are not being property trapped, explored and exploited. Physical labor is their only means of earning. A large segment of this population is active youth force. Many of them are efficient, intelligent and energetic with initiative & drive and have courage to take risk. But they cannot uplift their socio-economic condition due to poverty, lack of financial support and other required facilities. Lack of capital compelled many small traders to leave their profession. As a result the unemployment problem has been increasing day by day, and the unemployment youths, finding no avenues of employment, are getting themselves involved in ant-social activities creating threat to the social life. Bangladesh is predominately an agricultural country with vast majority of people living in rural areas. Most of our people, for their living, are dependent on agriculture. Agriculture still contributes the lion share of the gross domestic product. But we could not as yet become self-sufficient in food production. We still import a bulk quantity of food grains from abroad to meet the deficit. This reliance on import has made us dependent on others. We must modernize our agriculture and establish more and more industries in order to minimize imports. We can bring about revolutionary changes in the agriculture sector by adopting modern agriculture technology replacing the age-old traditional way of cultivation and increasing the use of fertilizer. This can be done by collective efforts of both public and private sectors. Islami Bank Bangladesh Limited is a welfare oriented Bank. It can ply positive and important role in the economic development, progress and uplift of the country by investing in the agriculture sector. The Bank has, therefore, introduced “ Agriculture Implements Investment Scheme” to provide power tillers, power pumps shallow tube wells, thrasher machine etc. on easy terms to the unemployed youths for self-employment and to the farms to help augment production in agricultural sector. Bangladesh as a developing country has been trying for its overall economic growth. One of the major problems confronting its growth is lack of development of enterprises and potential entrepreneurs who can create more job opportunities by establishing new enterprises in the industrial sector. There are a number of educated unemployed youths and also skilled & semi skilled unemployed persons in the country. Besides, every year quite a good number of youths are coming out of the general/technical educational institutions to add to this already crisis ridden employment market. Development programs and efforts will bring no meaningful result unless and until income-generating employment opportunities can be created for the growing number of unemployed people including the educated unemployed youths. Establishment and expansion of micro industries can play a vital role in creating more employment opportunities as well as in the overall socio-economic development of the country. Islami Bank Bangladesh Ltd. has been appreciably participating in this direction by financing industrial sector. With a view to creating wider base for industries, the Bank has decided to launch “Micro Industries Investment Scheme” through its Branches. This scheme has been devised to cater to the investment needs of those persons who intend to set-up new micro industrial ventures or to restructure their old units by way of BMRE involving a total cost of TK. 5.00 lac. This is intended mainly to create new jobs for the educated, skilled & semi skilled unemployed and also to encourage those who remain outside the purview of investment due to shortage of funds and insufficient collaterals. The scheme has been prepared with easy terms and conditions to encourage the small entrepreneurs, educated unemployed youths and skilled/semi skilled persons to come forward for establishment of micro industries commensurate with the local demand. Bangladesh with its 60% people living below poverty line and 30% living in absolute poverty is suffering from acute rural-urban economic disparity coupled with illiteracy, lack of proper health and sanitation facilities. The country’s economy is basically an agrarian one with vast majority living in rural areas. The agricultural sector is unable to provide any further scope of employment resulting in influx of rural population towards urban areas. Rural areas are characterized by stagnant and scanty industries. Underemployment and unemployment is the regular feature particularly in rural areas. The vast human resources have remained unutilized due to lack of education and training and also concerted efforts directed towards the rural economy. This results in uneven distribution of income which causes serious set back in balanced geographical growth as well as growth of GDP. Islami Bank Bangladesh Limited has been founded with the major objective of establishing Islamic economy for balanced economic growth by ensuring reduction of rural-urban disparity and equitable distribution of income. In view of the above, Branches of the Bank have been encouraged to invest their deposits in their respective areas and in particular for the economic development of the rural people. Accordingly, a Scheme in the name and style of ‘Rural Development Scheme’ has been introduced to cater tot eh investment needs of the agricultural and rural sector to create opportunity for generation of employment and raising income of the rural people with a view to alleviate poverty. Generally a bank takes certain steps to deliver its proposed investment to the client. But the process takes deep analysis. Because banks invest depositors fund, not banks’ own fund. If the bank fails to meet depositors demand, then it must collapse. So, each bank should take strong concentration on investment proposal. Investment of the bank increased to Tk. 144921 million as on 31st December 2007 from Tk. 113575 million as 31st December 2006, showing an increase of Tk. 31346 million, i.e., 27.60% growth as against 17.24% growth of investment of the Banking sector. This increased investment growth of the bank in 2007 is due to the thrust given to promote investment for effective utilization of depositors’ fund. The share of investment of IBBL in banking sector as on 31st December 2007 increased to 8.27% from 7.67% as on 31st December 2006. IBBL has the largest market share in terms of deposit and investment among the private sector commercial banks. The deposit of the banking sector stood at TK. 2,230.06 billion at the end of YE 2007 shared by 48 banks. The total deposit of IBBL in YE 2007 was TK. 166.33 billion which constitutes 7.46% (previous year it was 7.24%) of total deposits of banking sector. The growth rate of deposit of IBBL was 25.61% whereas industry growth rate was 22.18%. In YE 2007 IBBL’s total investment was TK. 144.92 billion which was 8.46% (previously it was 7.28%) of industry investment of TK. 1,713.51 billion. The investment growth rate of IBBL was 27.62% whereas industry growth was only 10.05%. The income composition of the bank is well diversified. Its investment income grabs the largest portion in the total income pie followed by fee income and other investment income. Investment income stood at Tk. 5,161.60 million in YE 2007 and Tk. 3,138.72 million in YE 2006 representing 62.27% and 52.15% of total income respectively. Its fee income was Tk. 2,579.01million in YE 2007 and Tk. 2,456.73 in YE 2006. It was 31.11% and 40.82% of total income of the respective years. Other investment income contributes 3.43% and 2.28% in total income in YE 2007 and YE 2006 respectively. IBBL’s well diversified investment portfolio covers various sectors of economic importance considering the profitability and economic development of the country. As project investment and working capital the total investment of IBBL stood at TK. 78788.17 million in YE 2007 and TK. 62642.10 in YE 2006. The growth rate was 25.77%. During the year 2007investment portfolio consisted of 54.37% industrial investment and the rest 45.63% includes trade finance, consumer finance, SME, House finance and others. In industrial investment portfolio, the textile sector holds the highest share of 44.95% followed by 11.04% of garments sector, 10.86% of agro based sector, 10.10% of steel & engineering sector, 6.38% of food &beverage sector, 1.98% of cement industry, 1.94% of pharmaceuticals industry and the rest12.74% hold different sectors including chemicals, power, ceramics, plastics, IT, healthcare and others. On the basis of partnership business of profit and loss Islami Bank Bangladesh Limited was established in Bangladesh to operate banking activities to avoid interest. Aims to introduce a welfare oriented banking system and also establish equity and justice in the field of all economics operations. IBBL has achieved stable growth and continuous progress to be one of the leading private sectors Bank of the country. Investment is made though different modes as per Islami shariah. Invest-income of the bank is shared with the Mudaraba depositors according to an agreed upon ratio, ensuring a reasonable fair rate of return on their deposits. Extend socio economics and financial services to individuals of all economics backgrounds with strong commitment in rural uplift. People still have wrong perception regarding Islami bank which is the major constraint for improving their investment performance. Marketing promotion is very weak to remove misconception about Islami bank. Lack of strong initiative to explore investment opportunities through research and markets. Inefficient management in making prompt and accurate decision. Dishonesty and inefficiency discourage them to invest on the basis of ideal modes, i.e., Mudaraba and Musharaka. Most of the employers and employees are not Business graduate/ Master. Islami banking system the collection of invested money is easier than the conventional banking because Islami bank concerns with the purpose of investment not with only the invested money. We also think that there is bright future waiting for Islami banking in Bangladesh and IBBL is in a position to go as a catalyst for this development in the banking sector in Bangladesh. Another thing We have to mention here that the IBBL is going through the path in which they need to go and as like today it will bring more new and welfare oriented activities in the banking sector in the years to come. The special features of the banking policy of Islami bank are to invest on the basis of profit loss sharing system in accordance with the tenets and principles of Islami Shariah. Earning of the profit is not the only motives and objectives of the Islamic bank banking policy rather emphasis is given in attaining social good and in creating employment opportunities. By concerning Islami bank and its operations we come to the conclusion that the investment models of IBBL are more superior to the conventional bank. In conventional banking system loan is granted on the basis of interest, which is fixed. In Islami banking system investment is going on with profit loss sharing system. In this system no fluctuation comes between growth of economy as well as growth of IBBL. In Islami banking system, it is possible to create balance between money supply and the production of goods. On the other hand, conventional banking system creates inflationary problem. In conventional banking system, investment doesn’t ensure employment opportunity besides Islami banking system directly work with unemployment problem. At the time of increasing interest rate, investment decreases and at the same time unemployment also increases. In conventional banking system, interest rate always fluctuates and even creates unrest in economy. Besides Islami bank always helps economic growth. In Islami banking system the collection of invested money is easier than the conventional banking because Islami bank concerns with the purpose of investment not with only the invested money. Mention here that the IBBL is going through the path in which they need to go and as like today it will bring more new and welfare oriented activities in the banking sector in the years to come. Though Islamic bank is comparatively superior to conventional interest based banks from various aspects like abolition of interest based loan market, no fixed cost of capital, stimulation for accelerating serving and capital formation, efficient allocation of investment, production and profit, easy recovery of investment capital, lower inflationary situation etc. Islami bank has to fight for several obstacles in case of harmonious operation. Here we have tried to locate some vivid hindrance and suggested accordingly. Any kind of bank Shariah based or interest based has to operate under regulatory environment prepared and approved by the government. There are conflicts between Islami Shariah and general government rules and banking law. That’s why Islami bank doesn’t get the opportunity and help from the running law of government. Insurance company pulls large amounts of money, which is mainly invested by bank. Islami bank doesn’t get benefit from insurance companies directly. Because insurance companies are not guided by Islami Shariah. So Islami bank is not interested to get insurance from that companies that’s why it is necessary to establish Islami insurance policy. Islami banks can’t accept securities and bonds from Bangladesh bank because this securities and bonds are not well instructed by Islami Shariah. Besides the conventional banks get these benefits from Bangladesh bank that helps them to increase their wealth. Islami bank lacks efficient manpower. In our country Islami banks spreading very rapidly but still skilled manpower is not sufficient. Islami banking and Islami economy must be included in the syllabus of schools and universities so that Islami educated people can have opportunity to get employed in Islami bank and the service of Islami bank can be better with the help of these skilled personnel.